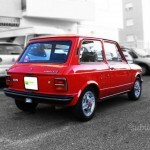 Autobianchi A112 Abarth – Why do you want one? At the end of the 60ies, after a few models that didn’t have a huge market share, Autobianchi is willing to re-create the success they had in the past with the Bianchina. The company just got fully acquired by Fiat and the new car has to be a reference in elegance and glamour and it should be something that doesn’t exist in the Fiat range to avoid internal competition. 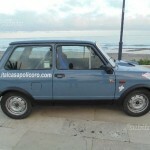 There’s also another important point: at that time the market reference for a small but upclass car is the Mini. 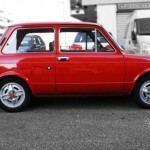 And in those days the Mini was also produced in Italy by Innoncenti in their factory at Lambrate, not far at all from the Autobianchi headquarter. Nobody up to that moment has tried to challenge the Mini, but the A112 will give a good challenge to the famous little british Montecarlo winner. 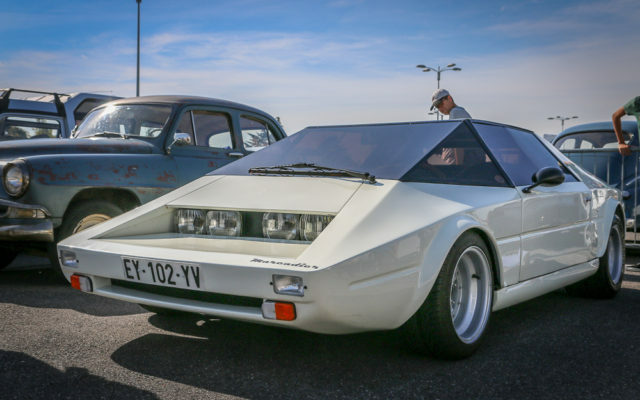 The first model presented in 1969 and sold for the first time in 1970 i using a four cylinders engine taken from the fiat 850 and produces 44 bhp but this it’s only the start. At the end of the following year the A112 meets Abarth and acquires more than just a Scorpion badge on the bonnet: engine size goes up to 982 cc, 58 hp and a top speed of over 150 km/h. Haestetically the first version it’s only red with mat black bonnet, a special front grill, a double exhaust and larger wheels. Immediately she starts to win in several type of competitions. 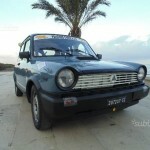 The little A112 is so good that in 1976 is was created the “Campionato Autobianchi A112 Abarth”. They were racing on the Italian rally championship and the cars were standard A112 Abarth (that in its last form had a bigger engine – 1050 – and developed 70 hp) with the addition of a special kit provided directly by Abarth with roll cage, extra headlights and competition tyres. The event was a great success especially because the idea of it’s creator, Cesare Fiorio, was to use it as a school and nursery for the bigger Lancia Rally Team, running at the top of the World Rally Championship. 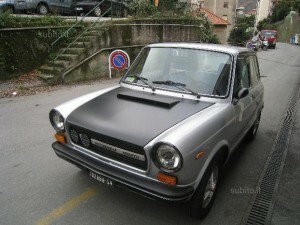 It was also repeated in France under the name of “Coupe Autobianchi”. I had a look at what’s on the market and without surprise I noticed that there’s a big gap between the early Series 1 & 2 and the late ones built after 1980, with the price range going from 6k up to nearly 20k. For this price range I always prefer to get something that is already in good shape and up and running otherwise the restoration (unless you do it yourself) will cost you much more than the value. 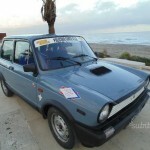 The first A112 Abarth I selected is in Italy, near Matera. At this price you are getting a lot of car if it’s really in “ottime” (great) conditions as described, but for the money I would expect to having to fix at least some details (for example the seats that are not even matching). It’s from 1984 and you can find it for sale here on Subito. The next step up in price is this one in France, advertised on LeBonCoin for 8.500 euros. With this money you get a red ready to race in honest good condition Abarth from 1981. 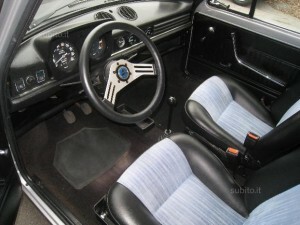 Then you can go into the 70ies, however here the prices are quickly raising above the 10k bar. This one looks amazing in matt black and silver. 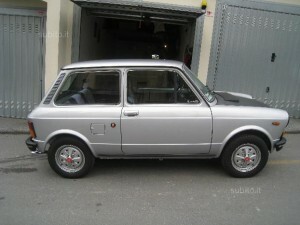 Fully restored, from 1977 and already with the 70 hp engine for 13.800 euros. Get it here. Again if you look for something older you have a series 2 with the 58 hp engine and in red, described again as in ‘perfect’ condition (are they all perfect??) will set you back at 15.000 euros, available here. 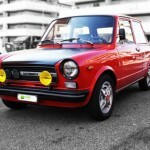 If you still unsure about picking the Autobianchi A112 Abarth that best suits you, here is a selection of the most recent shots on Instagram.